Hikvision, the world’s leading supplier in innovative video surveillance products and solutions, has launched the all new EasyIP 3.0 product range - employing Hikvision’s remarkable H.265+ in-house encoding technology based on the H.265/HEVC standard. The new range brings better storage, better imaging, better analytics, and better usability. Providing the intelligence behind a new range of cameras and NVRs, the EasyIP 3.0 range delivers superior video performance across a wide range of parameters utilizing the H.265+ smart codec algorithm. 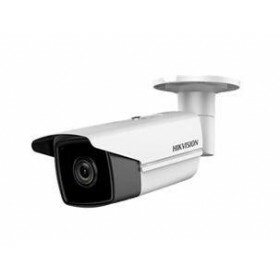 By addressing the archiving of unnecessary elements within surveillance scenes; such as static backgrounds, limited moving subjects, and the impact of noise in nighttime video surveillance, Hikvision’s H.265+ technology reduces by over 50% (compared to standard H.265) the amount of required bandwidth, storage and associated costs. By virtue of its vastly efficient compression technology, H.265+ promotes the use of ultra HD video surveillance solutions using 4K cameras, as well as 2, 3, 5 and 8 megapixel models – which are all available in the Hikvision EasyIP 3.0 range. To help deliver the ultimate imaging performance in a variety of real-world lighting conditions, including variable light, high contrast or light deficient scenarios, all cameras in the new EasyIP 3.0 range have been equipped with 120dB True WDR. The camera range also features Hikvision EXIR 2.0 with Smart IR capability, 3D DNR and Darkfighter ultra-low illumination technology - providing superior colour rendered images even in extreme low light scenes. Within the EasyIP 3.0 range, new cameras additions also provide greater analytical functionality than previous generations, featuring on-board Video Content Analysis (VCA) options to trigger automatic alarm activations. Standard VCA functionality includes Line Crossing Detection, Intrusion Detection, Object Removal Detection, Unattended Baggage Detection, and Face Detection, significantly reducing operator input resulting in more efficient and effective security systems management. 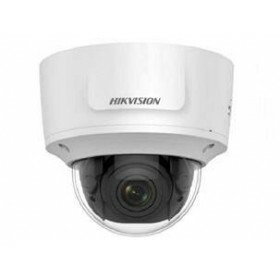 Designed to cope with the harshest of operating conditions, many camera models in the new Hikvision EasyIP 3.0 range are fully protected from dust and water, certified to IP67 and vandal resistant to IK10 standard. In addition, PoE up to 300 metres ensures maximum installation flexibility, with the entire EasyIP 3.0 range providing high levels of security, control, and cost-effective analogue, IP, or mixed system solutions. H.265+ There are 48 products.